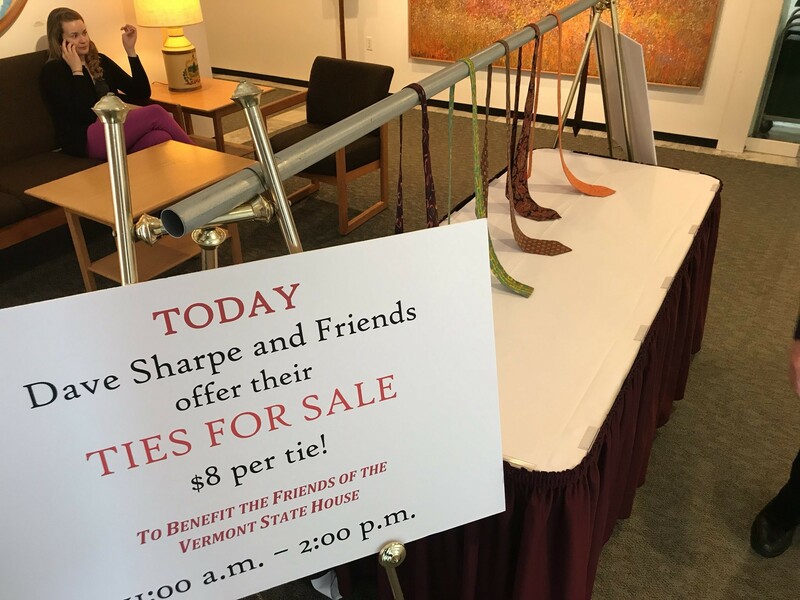 The Vermont Statehouse doesn't have a formal gift shop, but visitors this week have a chance to pony up for a unique souvenir: one of the many ties of Rep. Dave Sharpe (D-Bristol). The former auto mechanic and voc-ed instructor, who announced his retirement in March, said he's spent his entire adult life collecting neckties, but he won't need them anymore once he finishes his work at the Statehouse this spring. 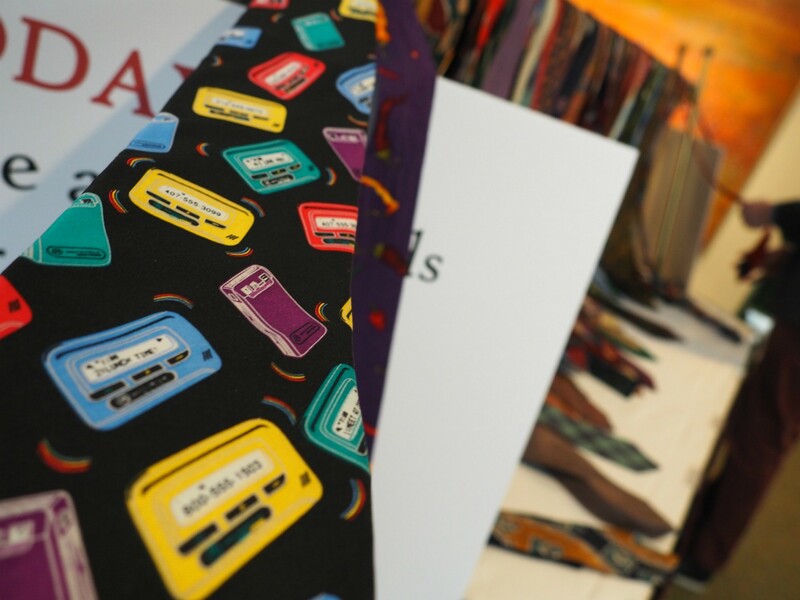 As a student at Michigan's Kalamazoo College in the mid-1960s, Sharpe said he started buying up funky ties as an act of rebellion. The cafeteria staff was instructed not to feed students on Sundays unless they wore a coat and tie to dinner. “So my attitude at the time was: You want a coat and tie? I’ll show you a coat and tie. So I had some crazy coats, which have gone by the wayside, but it started a tie collection," Sharpe recalled Tuesday morning during a brief break from hawking his wares. 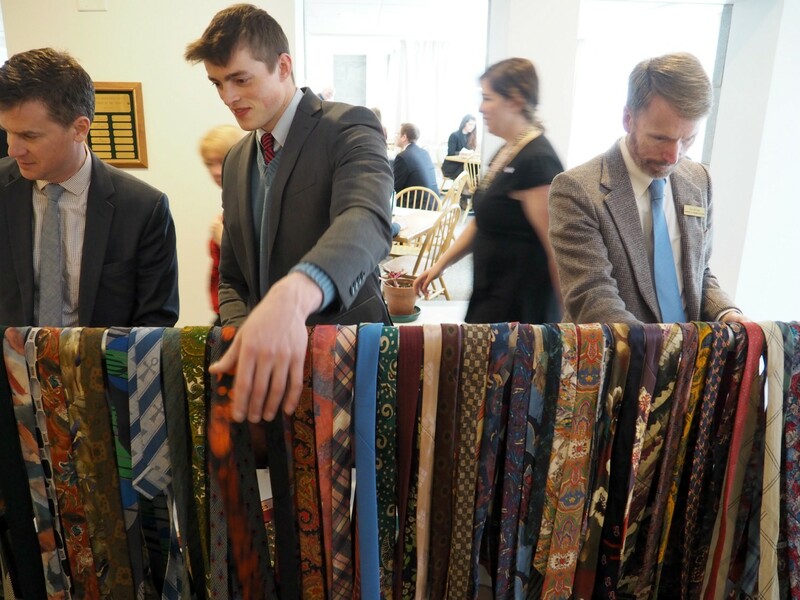 "So there’s somewhere between 100 and 200 ties that I’ve collected over time — some of them pretty crazy, some of them pretty conservative." More than 100 of them are now on sale, at a makeshift stand just outside the Statehouse cafeteria, for the competitive price of $8 apiece. Proceeds will go to the Friends of the Vermont Statehouse, a nonprofit devoted to historic education and preservation of the building. Under the golden dome, Sharpe is known for his neckwear. But his renown for quirky ties reaches into Canada, where his brother-in-law nearly won a contest wearing one of Sharpe's ties. The international tie trade has gone Sharpe's way, too. For Christmas in 2017, the same brother-in-law, who used to work for a telecommunications company, gave Sharpe a tie patterned with pagers. The collector revels in the novelty. "Of course we don’t use [pagers] anymore, but it’s a tie full of pagers," he said, grinning. "So, you know, there’s some fun things there." Sharpe isn't ready to part with every tie in his collection. Asked which is his favorite, he didn't hesitate. Others Sharpe has collected — from yard sales, retiring fellow lawmakers and a sewing cooperative founded by his fellow VISTA volunteers in the late 1960s — will soon make their way to fellow fashionistas. Sharpe said he's glad to see the ties go to a good use. "I don’t plan to be needing very many ties after I retire," he said. "I’m going to do traveling and boating and work around the house, so now’s my opportunity to share my wealth with the people in the building." 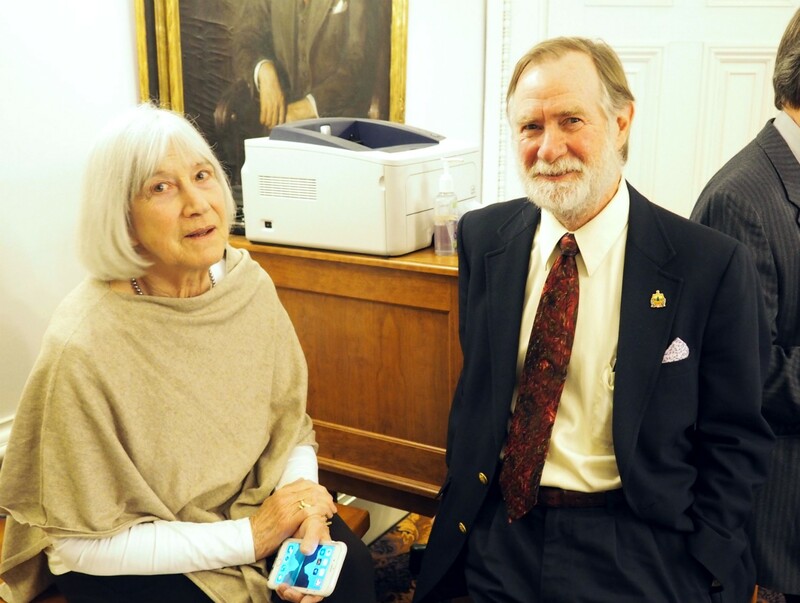 Sen. Claire Ayer (D-Addison), chair of the Senate Health and Welfare Committee, announced Thursday that she will not seek reelection in November after 16 years in the Vermont legislature. House Speaker Mitzi Johnson (D-South Hero) learned an important lesson Wednesday when she picked up her gavel and smashed the glass top of an antique lamp that’s been in the Statehouse for more than a century.